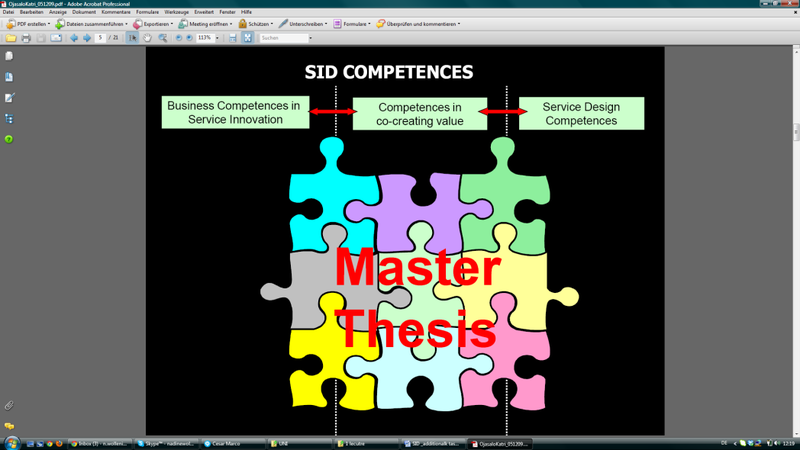 I coincidently found the announcement of the SID Master program and immediately started to be totally excited. Since I had started my carrier in a Finnish company within the service sector six months earlier (I’m German), it was important for me to find a possibility where I would be able to combine studying and working. Also I was searching for a study program in the service field with students from different working backgrounds to be able to network and exchange insights and ideas…..so I felt this would be a perfect match! After applying, I remember that I was surprised when I received the invitation to the entrance exam and I was shocked when I realized that the date of the exam was in the same time as my long time ago scheduled important business trip. After trying to evaluate my chances to succeed in the entrance exam, I decided that whatever comes, at least I need to try and participate in the entrance exam. After making this decision, I convinced my boss that this would be really beneficially for him and the firm if I studied in my free time in the SID Master degree program. After that I tried to shorten my business trip, booked a flight for going back earlier to Finland and couple of days later I was already sitting with 120 applicants in the auditorium receiving the exam assignments. I have to admit that I had difficulties to finish to read the huge amount of English text and moreover to understand the academic text. I remember really well that at one point, shocked about the time left, I was stopping to read and try to answer the question based on my knowledge of my previous study and work experience. After the written assignment we needed to participate in a group discussion about a given topic. I was so nervous that I cannot remember the task anymore. But when I left the university after this exciting day, I had the feeling that my contribution was not enough in order to get a study place. This study unit was the very first one. In the first day, we had been asked to meet in the Design Museum in Helsinki Centre to breathe the air of design and to dive into the innovative, progressive atmosphere. I was very excited on this day. I was going to meet my fellow students for the first time and I was feeling great about that. It was exciting to be part of such a special group of only around 20 students selected from 200 – a group that would study an interesting topic, yet so unknown to the public audience. When I arrived, the Design Museum was still closed for the public and just a handful of students had arrived and were waiting in the lobby. I registered myself and received a folder that contained many documents concerning the SID program. I was reading a bit but my mind was too excited to really comprehend the content. Sharp at 9.20 my first lesson began! The two lecturers Andrea Botero and Joanna Saad-Sulonen introduced the content of the course and started to talk about creativity. They tried to initiate a discussion but it was rather silent in the room. Too much for us to be extroverted at this moment! So, they gave us an exercise to warm up and become more talkative. The task was to draw 100 lines and give each line a name. I was a bit confused about this task but I started to draw my lines. Soon, I run out of ideas and I felt a bit hopeless. I was glad, when the 45 minutes had passed and we started to evaluate our work. For this purpose, the entire group was split into 3 smaller groups. This really helped to get to talk to each other and we had a lot of fun looking at each others ‘art work’ and start to discuss about. The day continued with a tour through the museum and an interesting exhibition of roughs from different periods and styles. In addition we visited the permanent exhibition of the museum which comprises a collection of Finnish design throughout several periods of time. This sentence is taken from the book ‘Design for the real world’ by Victor Papanek. At the end of the day, we were introduced to our first assignment, a group task. I was in a team to research the library service of the Leppävaara library. A great chance to get to know my fellow students better! The group work was quite complex and time consuming. In order to gain as much as possible information and inspiration we decided to proceed with field studies and questionnaires. After evaluating the gained data, we designed an improved service concept. Among other things we suggested for example to implement a consistent corporate identity concept, which allows the user to identify diverse offered services immediately. That means for example publish all information of the library group of Helsinki in the Helmet layout instead for having for every location a different homepage design. This course, presented by Jukka Ojasalo & Anne Martola comprised the discussion about strategic management. Strategic Management is still a rather young subject to study. Only in 1977 the first conference on that subject was held in the US. Porter’s studies on competitive strategy were published in the 1980. This means only about 30 years of time to develop theories and tools to manage this topic. The purpose of strategic management is to secure the long-term financial success of the organization. In other words, it is the organizations theory of how it is gaining and sustaining its competitive advantage and with it assuring its further existence. The strategic plan defines a direction of development for the organization; it helps to concentrate recourses and activities and to bring stability. – How might we get there? – Which way is best? – How do we ensure arrival? By understanding, how the organization arrived in the current position it might be easier to get an insight into the past and understand what actions could be important and feasible in the future. After all, the past cannot be changed, so it is best to learn from it. Which steps should be avoided in the future? What activities had the best impact and why? Can this be repeated? …For the very first contact session we had to read one book and prepare an abstract. The purpose was to introduce our findings to our fellow students and to get acquainted with different literature about the theory of strategic management. I reviewed the book “Corporate Strategy” by Richard Lynch. The book examines why strategic planning is essential and what are the contents of it. It gives a broad and detailed overview on all the aspects of the strategic management process. The author especially values the clear and well thought structure that makes efficient reading possible. Due to this fact, I would recommended to use the book as a handbook at any time during analysis, strategic planning or during implementation. Whenever a question occurs, the chapter referring to the problem is quick to find and also informs about cross references that might give additional information. In addition, the case studies are very helpful to understand and how the theories influence the practise. This way it is possible to make own conclusions by comparing them to similar cases. In the second session we discussed the topic “Strategic Agility”, lead by Mikko Kosonen, the president of SITRA, the Finnish innovation fund. As a final work we were asked to create a development plan for the issue or sector of strategic management for a self-chosen target organization (including a concrete implementation plan). The aim of the report was to focus on a concrete operational strategy, design a development plan and define development targets related to strategic management for a case company. Hence, it was concentrated on issues of resources, processes and people to investigate how the business segment is organized to deliver the corporate and business-unit strategic direction. Thereby the Finnish company where I work and its operation on the German market, especially from the human resource point of view, have been analyzed to find out improvement areas, solutions and possibilities to implement those into practice. My report provided in the beginning a short introduction where background information of the company are described. In addition the strategic management approach of the case company was explicated, to understand the scope of the company and the chosen development target. After that it was clarified shortly the characteristics of the chosen business segment. The main part included the analysis of the internal resources and in addition shortly mentioned the external resources. The results of the analysis were summarized through the SWOT model which should underline necessary development targets and actions of improvement. Finally, the last part of the plan investigated options and activities which are required to implement the targets into practice. One of our first courses as well, has been “Future thinking and foresights methodologies” presented by Tarja Meristö & Susanna Kivelä. 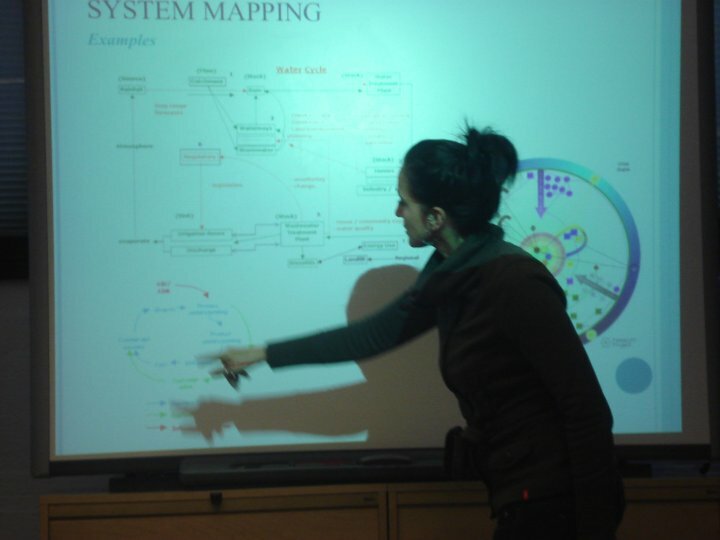 The course contains an examination of future studies, foresights methods and its process. It helps us to understand what futures study is about and which methods and techniques are available to get an understanding of the future. Especially because of the rapidly changing environment, it is more important than ever before, to think ahead and prepare better for the unpredictable. Therefore, this course raised the awareness of all of us, to think ahead and be better prepared for the future. That means, even that the future contains an element of uncertainty, we are able to prepare for the future and deal with it uncertainties in a certain way. The gained knowledge from this course outlines the understanding of the importance of future research in the business world as well as private life. But having an understanding of the future does not mean that we will be able to predict it in detail. Foresight is a skill that everyone is able to learn. It is important to be aware and sensible for the environment and its changes, which constantly shapes the future and therefore have significant influence to the future development. Thereby it is not about knowing the future. That means information about the future is not absolutely precise and accurate. Imperfect knowledge can still provide highly useful guidance for information about the future and therefore of decision which we have to make. To be able to develop possible future scenarios, it is vital to be alert to environmental information and changes to realize possible weak signals, which could be an indicator for trends and future development tendencies. Therefore, it is useful to monitor key indicators, to estimate whether the trend will be up or down. Often it is helpful to think out of the box because it is not all about rational images of the future. Especially what sounds today strange and unrealistic could be in the future a new trend, developing to a hype. Even though the future contains an element of uncertainty, we are able to prepare for the future and deal with it uncertainties in a certain way. Thus, the future studies do not necessarily have to be extensive studies. A more open minded view to realize and monitor the developments in the environment and to think about their consequences could already be essential to anticipate many of the risks and opportunities that could confront us in the future, to prepare ourselves in an early stage before the event happen. “Expect the unexpected”. One of the most essential methods within the future research is the scenario analysis, which illustrates the alternative future developments related to market potential and needs, societal requirements and technological feasibility. Scenarios are a way to summarize the results of the future research and the whole foresights process. In the second part of the course, we applied the gained theoretical knowledge to a practical case. Hereby we have been cooperating with the Finish case company “Digita”. The group work comprises an analysis of the current market situation of Digital’s operation in and prepares a SWOT Analysis. Based on the results we have been writing a profound report and developed scenarios which illustrated the future. By the scenarios it was possible to estimate the probability, plausibility of alternative future developments. Lastly, the results were introduced to the case company personally. The topic of this course was very interesting as we are more and more moving from the theory closer to the practise. How does the customer think and how are we able to find it out? This question is only an example of the content of this course which was presented by Anne Rindell from Hanken University. She is a capacity on this field and we were very lucky to have two sessions lead by her and another by two of her doctoral students. 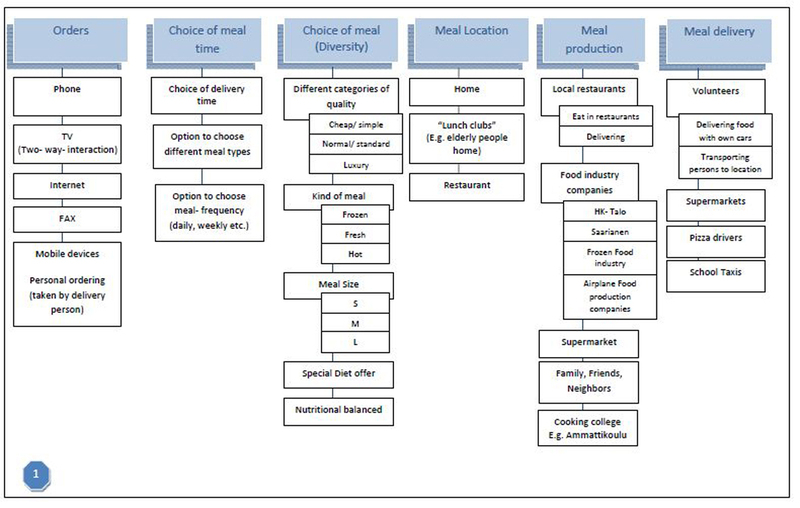 The description of this study unit included having a look into the change factors affecting service demand and customer behaviour, as well as start designing new kinds of services to meet customer needs and become familiar with the multidisciplinary field of customer behaviour research (e.g. ethnography). 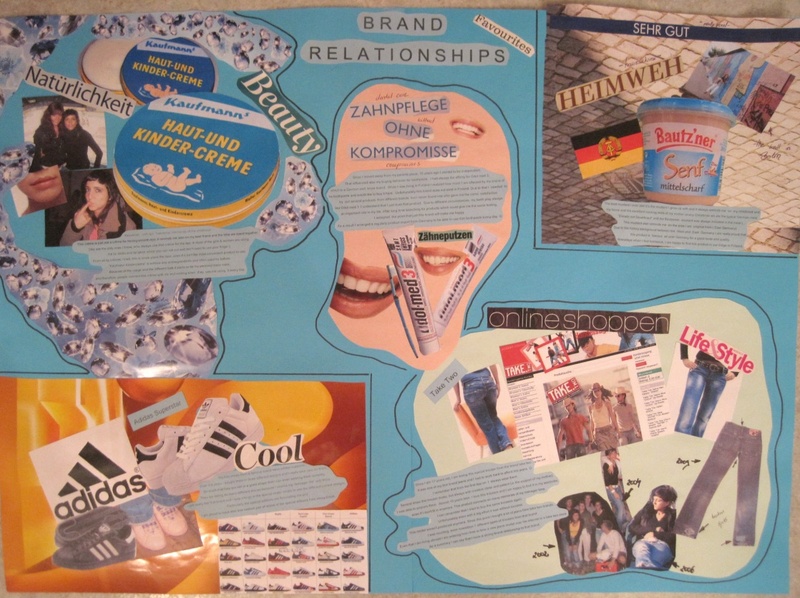 As first pre-assignment we have been ask to study brand relationships through subjective personal introspection and create a collage of an example of personal brand relationship. For the second contact sessions we had to prepare a pre-assignment by “studying perceptions of service through narratives and laddering”. We received different suggestions of literature so that we could study the theory in advance. Besides that, we were requested to tell a story (the narrative) of a service experience when we have been served as a customer. When analysing the received service, we have been asked to apply the laddering technique. In general, laddering is an interview technique used in semi-structured interviews. In other words, laddering and probing is used to: “understand the way in which the informant sees the world” (Reynolds & Gutman, 1988). Within the session of the three courses we have been able to gain more theoretical knowledge of customer insights and the understanding of the emotional (psychological) aspect of services. The final course assignment consisted of a plan for studying, providing feedback and participation opportunities for customers, and on how this knowledge could be included as customer knowledge into a strategic service innovation or business model for a case organization. Within the final report, I have been applying the qualitative research method. The aim was to get an understanding for customer experience. Therefore the objective of that research report was to practice this method and develop the skills in using this method. The studies of consumer behaviour enabled to understand consumer needs and wants, and how they make consumption decisions. The results showed the appropriateness of the current case company’s procedure considering the customers of the target market. This exercise was really good in understanding which challenges exist in gaining valuable information. I noticed that it is not easy for the proband to speak about his emotion and feelings. The collected information proved that the proband reply most often with facts advantages and disadvantages. Even though, I asked for their feelings, they answered shortly my questions without analyzing themselves why and what is important for them. It is a challenge to let the proband speak freely without any questions, which could already influence the direction of the answers. My personal experience is in line with the theory where it says that the researcher – respondent interaction could affect the research findings. The course “New Service Development and Innovative service systems” was held by Katri Ojasalo & Leena Alakoski. I remember that Katri’s first presentation within this course was about service innovation and was an eye-opener for most of us students, since we got an understanding how all the different subjects of the master degree program belongs to each other and how all pieces of the SID program create in the end the big picture, like in a puzzle. This study unit contributed to the understanding of the service logic as well as provided information about innovative service concepts. The stimuli provided during the study unit included a range of service development case presentations, relevant readings, tasks dealing with service development issues as well as discussions in the classes, etc. This course included, next to several case presentations from the practice, 3 comprehensive pre-assignment as preparation for the different units. The first pre-assignment was to find out three innovative service concepts. The assignment helped to get updated about current service innovations and successful service implementations. The presentation and discussion during the class provided me different viewpoints and ideas. It was interesting to see, how different the viewpoints of my colleagues for innovative service concepts are. This exercise was a good introduction to get the right mindset to that topic. It guided to an appropriate way of thinking as a basic for being innovative and developing ideas of new service concepts. Therefore, this lecture helped me to see the environment more openly for recognizing good service concepts and its impact and value for the customer. Since I had less experience about the non-profit service sector, especially the research for innovative non-profit service concepts and the presentation of Markku Nurminen (Zone Interaction ltd.) was really valuable for me in order to gain new specific insights. During my research, I was surprised about the variety of already existing innovative service ideas and moreover the potentiality within this non- profit sector, hereby especially the health and education sector. Due to the aging society and missing alignment of existing services, there is huge potential for new improved innovative services. Within further presentations it was highlighted the change from a traditional producing business world to a service orientated business world. Therefore, manager needs to focus on a broad customer perspective rather than a narrower product focus. Especially, the practical, specific examples have been valuable for getting a better understanding (e.g. Canon: renting printers and pay for printed sheets, instead of selling printers). Further important insight, I gained through the course, was the importance of customer involvement which has a positive impact on customer’s satisfaction. Firms can often offer more to their customer by integrating themselves less. Through offering customer participation possibilities they could enable the customers to create more customized value themselves or in other words, to co-create more individualized value. (E.g. traditionally the music industry has sold albums and CDs that combine a fixed selection of songs à nowadays customer can buy individual songs on iTunes and compile their own playlist). In preparation of the second course it was announced to prepare a pre-assignment, which include reading an article about service blueprinting and in addition built up an own service blueprint for a self chosen case. The article provides a good understandable picture and introduction to the service blueprint concept. Service blueprinting is a customer focused approach for service process design and analysis, in order to improve a service. It allows firm to visualize a cross functional view of the service processes, points of customer contacts and the physical evidence associated with their service from their customer perspective. Because service needs to be define from the customer point of view, instead of the company centric or technology point of view. With the support of the service blueprint, it could be identify failure points, areas of improvement and service innovation opportunities. I was creating a service blueprint for the company I am working for as Product Manager. Even though that this service blueprint confirm me once more that the service process in our company are well defined, I realized that the unbalanced amount of ‘backstage/ invisible contact employee actions’ compare to the ‘visible/ onstage actions’. Thoughts which arise in my mind: Is the customer able to realize the big effort his/ hers contact person is doing for him? Is the contact person able to deliver a service experience for the customer in only view “moments of through”? Should we enlarge the amount of onstage / visible actions to provide a unique service? In conclusion, thanks to this exercise I am convinced that the service blueprint would be for each service company a valuable add-on in order to analyse their current processes to find improvement areas. Further, it could be used for gaining an understanding of the customer perspective for all employees working for a company. That means, as communication tool, it could provide all employees an overview of the entire service process. In this way, they could gain insights about their own role and impact within a most often complex integrated service producing system. In preparation of the third contact day of this course it was announced to set up a pre-assignment, which include reading articles and books about the customer involvement in the service development process. I was concentrating in reading the articles, which provide a good introduction and overview of that topic, highlighted challenges and provide key issues which we should be aware of. Through the literature, I gained good insights for my thesis work. Also they provide already a good summary for the service development process itself. In the last contact session, we were able to listen to three different interesting guest lectures. The first case from Tallink Silja, named “1000 Service Designers” from Maarit Pitkänen was really interesting. It was a perfect example which shows the difference between the theory and the practice. This example provide an excellent learning effect because I was able to evaluate practical cases and through that understand the highlighted challenges and described mistakes from the theory part. The first results include the most important factor in the cruise experience named in order of importance: the service, cleanliness, food & beverage, shopping, cabins, arrival, entertainment and destination/ info services (possibility to vote through rating scale from 1- 7). In addition they received 240 pages open comments from every aspect of the cruise experience. From my personal perspective, evaluating the case, I would recommend for further campaigns to address also the ageing generation as the biggest growing society, through using not only web/ online medium for the initial contact. I assume that especially retired person would have more time for travelling. ü The personnel were informed beforehand which leads to unrealistic data and information. If they would really be interested in getting the real picture of the customer’s experience and imagination of good service, they would not inform the personnel in advance, to ensure that they behave in a normal daily work life. ü They couldn’t measure and evaluate the whole service process. An essential point of the service process is to be able to book a trip. Especially there they seem to have improvement areas and not the best reputation. The participants, the service developers were not able to experience that part of service and therefore they could not gain any customer experience information from that stage. In my opinion it was a great idea. But I am convinced that the project offers even more potential as they utilized yet. All in all they have been able to implement small improvements which could affect the satisfaction level of the customer. But I argue that they won’t be able to design powerful, creative new service ideas based on that research, due to too less insights gained through the project. In the second half of the course we were listing to Juha Nissinen from GlaxoSmithKline, “Service development case”. This presentation were inspiring in that sense that he motivate us to be more open minded for thinking innovative. He motivates us to be braver for creating innovative ideas. We should not humble (“Creating useful innovations is easy to do…”) But in the same time he emphasize that alone a value add is not enough, we have to make sure that the idea is also improving the business ( sale increase / cost decrease). To summarize the most important impact I gained from this presentation was that I should not be afraid of the whole innovation process; I should not doubt that I cannot create or invent a great new service idea. Innovation has not always to be a radical innovation. Innovation can be also a mix of elements, which are existing already, but you combine it differently to a product with new valuable outcome. Sometimes it is enough to think about small things or time consuming situations to find new possibilities of innovative ideas. Also he recommends to be structured in the whole innovation process but we should not confine ourselves, just to stick to the process. It is important to have the theoretical knowledge as background information always in our mind, but be flexible and make adjustment if the situation requires it. All in all, thanks to the course, I would assume that the innovative thinking among the students has been encouraged. 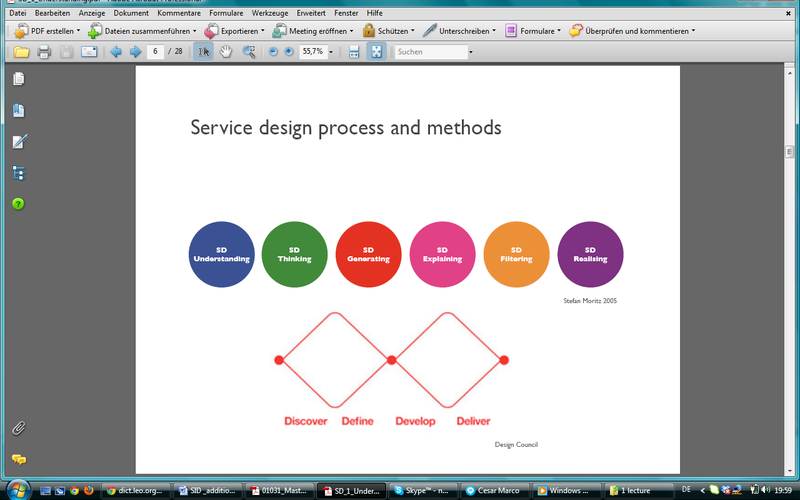 During this study unit, presented by Mikko Koivisto, we became familiar with the key principles, processes and methods of service design. We learned various idea generation and service design methods (e.g. 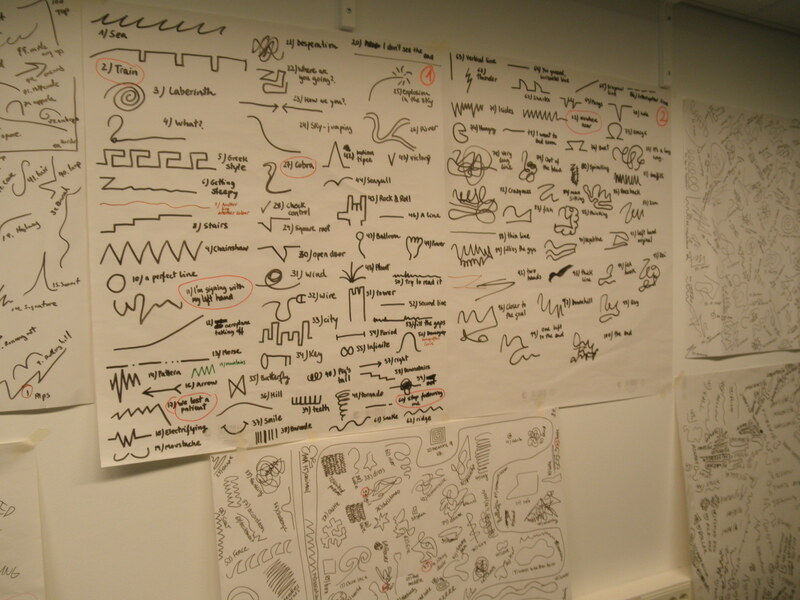 brainstorming, sketching, ethnographic and observation methods, probes, customer journeys and personas). Mikko explained us service processes and involved contact points in more detail. Thus, I gained an understanding about what happens before, during and after the actual service delivery, from both perspectives, the service provider and customer. His first lecture was really interesting to be able to gain compressive knowledge about the whole theory of service design. To raise the awareness of a dilemma, I still remember the following slide, highlighting the current situation. Even though those companies are convinced they are offering superior services, they are only considering the company perspective. But there could be a huge difference between the company and customer perspective. Consequently, there is a need to change the perspective to a customer centric view in order to ensure that the customer value perception is defined by company’s offer. As a next part of the course we have been introduced to the service process and methods, shortly. Within group work, students have been analyzing and interpreting certain models and methods for each step of the service design process and afterwards introduce this to the other student. The main component of this course consists of a group project, developing a design brief for a practical case which is applying the service design process model introduced by Stefan Moritz . Hereby we needed to apply several service design methods independently for each phase. Since this project was one of the biggest and most meaningful projects for me within the master degree program, I will describe in more detail what we have done in the following …. Our group consisted of 3 students in total. Our case company was defined by the sub division “Artist O” of the Finnish Association of Decorative Arts, named “Ornamo”. In general, the intention of this service design development project was to improve the quality of the offered service and the interaction between the service provider and the customers and theirs service experience through gaining customer insights and understanding the customer latent needs. I remembered that my first challenge was to get an understanding of the current situation of the association and its target group, the designers. Therefore, through the support of different methods we analyzed the case organization Ornamo to generate ideas for new services. As first step we attended a kick- off meeting and meet the representatives of the organization, personally. After that we started a detailed research into the organisation’s characteristics, goals, vision, brand and culture. To get a better understanding for the market and the possibility to benchmark from similar concepts, we analysed similar association abroad and similar trade unions from different professional fields. As next step we chose interviewing technique to gather customer insights from potential members/ users. Therefore, we needed to develop the interview plan, interview technique, frame the questions, address interviews and in the end transcript the interview data. Based on the 6 interviews and its transcript data, we started to interpret and summarize single thoughts to general themes and ideas to further work with. As a next step we met for a brainstorming meeting to analyse, interpret and clarify a complex raw data through using different design tools, such as the affinity diagram. The purpose was to discover problems, possibilities, ideas and common themes. After that we created user profiles. Through this method we tried to characterise and visualise based on the qualitative and quantitative data in general three different types of typical groups of Artist-O members. Therefore through discussing and summarizing the findings and gained data’s we tried to create hypothetical archetypes which represent actual users. As next method, we applied the customer journey mapping which helped us to understand the customer’s touch points and therefore provided insights how customers use the service and how they interact with the service and system. Theoretically all touch points can provide valuable information about service experience and service improvement. Due to the fact that the service is intangible we learned that is really difficult to show in a comprehensive way the different touch points and possibilities of services. We evaluate the generated ideas and concepts from customer’s point of view and thereby identify business potential. As a result we create an improved innovative service offering for Ornamo. In more detail, according to the analysed key drivers, we suggested that the new service concept has to provide an opportunity to connect and activate the members and offer them a greater possibility to share and exchange ideas, information and materials. Therefore, we developed a concept of a comprehensive, interactive, social, knowledge platform which transforms broadcast monologues into social media dialogues. The platform would be able to establish a community to enable to connect and activate the members all over Finland and the world, to share and exchange ideas, information and materials. Hereby was the purpose of the service design to inspire, enable and engage the members, to create opportunities for their members to feel involved (interaction) and offer possibilities of participation in order to involve the members to co-create Ornamo’s services (from content consumers into content producers). In the end we needed to present our ideas to the board of Ornamo. Hereby was the challenge to convince the rather traditional oriented, sceptical target group from our service idea. I learned that it is not easy to describe and explain in a structured way the audience from an intangible service idea. In order to support an understanding, underline the message and visualize the atmosphere and impression we got from the interview members, we created a mood board and compared this to the mood board of the new developed service, based on the investigate needs of the members. In the end, it was a really demanding and time consuming project which we have been able to successful finalize. I have to admit, that I learned a lot from this project, starting from group work and its cooperation; service method and processes; challenges to executed theoretical knowledge in practise; familiarizing with a totally unknown market/ target group until presenting or selling an idea to the client. Especially due to the fact of demographic and technology changes as well as the increasing customer service focus exist the need to adopt more flexibility in the leadership strategy and change from an old and outdated model of boss versus employee, to an collaborative, flexible approach (“empowerment”). 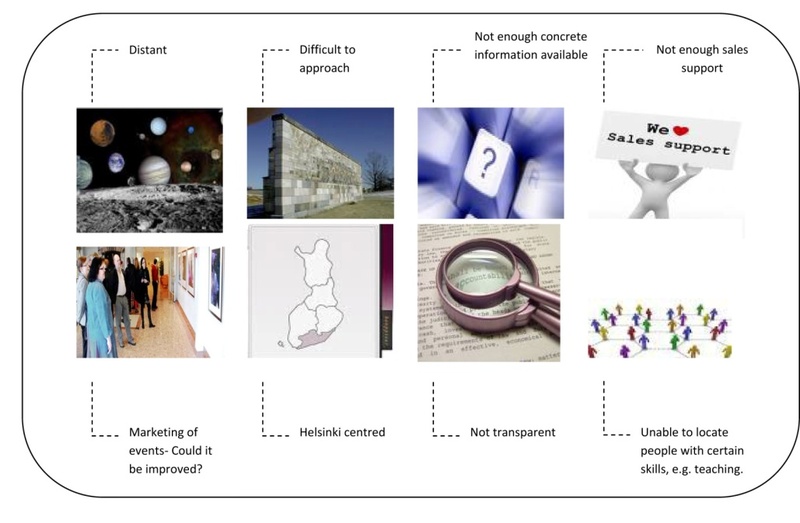 The following bullet points describe very well the content and my personal key learning points of the course “Change Leadership and Service Culture “presented by Tarja Chydenius & Janne- Valtteri Nisula. I would like to highlight them because I would say that I am passionate about this complex thematic leadership and culture in the context of services. The frontline-staff is the face of a service company. In order to provide enjoyable service experiences, frontline staff should be involved and properly trained to understand the needs of different customers and have the necessary autonomy to deliver a personalised service. A strong organisational culture and values driven leadership are important prerequisites for implementing a new or changed service concept. Through the presentation of Janne-Valtteri Nisula “Essentials of a service company’s leadership” I gained many interesting points, thoughts, ideas and facts. So I was analysing and thinking for the first time more intensive about the distinction and key points of management in relation to leadership. Often the words are used as synonyms even that it diverse in substance. I really like the clear motto related to changing leadership: “leading is serving” which means being constantly focused on ”how can I help you”. In general the presentation underline that the key of service leadership is ”Empowerment”. The power needs to be largely shifted to the personnel at the service encounter. People need to be empowered to be able to make decisions on their own and take some risks to solve unplanned situations (problems). The responsibility for customers and operational decisions has to move from management to staff which act in the service encounter. Empowerment is a key principle in Service Leadership! This aspect is also highlighting Jan Carlzon ( CEO of SAS) really clear through the comment: ”To free someone from rigorous control by instructions, policies, and orders, and to give that person freedom to take responsibility for his/her ideas, decisions, and actions is to release hidden resources that would otherwise remain inaccessible to both the individual and the organization“. During that presentation I realized the challenges to manage service leadership in practice. I was working so far almost all the time in service providing companies. Usually they might be the professionals in that field. Their core business is to deliver service. But from my experience the companies were characterise through models how to measure the performance of the employees in the best way to ensure economical effectiveness and profit… I never experienced the described recommendations (e.g. trust to the personnel instead of restrictions) which are presented in that lecture for being a sustainable successful service delivering organisation. From colleagues and friends which are working in more products/ manufacturing orientated companies I did not get the feedback of using this kind of performance measuring tools as I experienced. I got the impressions that especially companies which produce an intangible product might use restricting measuring tools instead of trusting the personnel. For me is paradox that especially those organisations which seem to be expert in the field of service waste so much resources and potential growth through restrictions, rules and control. Furthermore one really interesting aspect of that presentation was the introduced gap model, which provides a good overview about the areas of service gap and therefore possibilities of improvement inside a company and its environment. Many assume that the ‘moment of truth’, the direct contact with the customer, is the only position where a exist a possibility to improve the service of the companies. But that would be too simple. As the figure is reflecting, there are more areas of possible mistakes and problem, which could lead to ineffective or dissatisfied service offers. It starts already with Gap 1 the not- investigated imagination of the customer from company point of view. 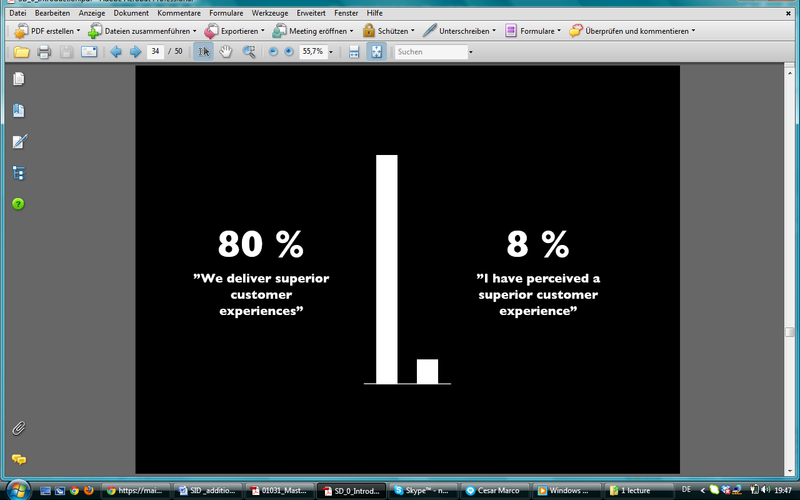 How many companies in practise really research about the truly customer expectation, experience and wishes? In how many companies the management make decisions and instruct instead of involving the information of the front line employees in the decision process? 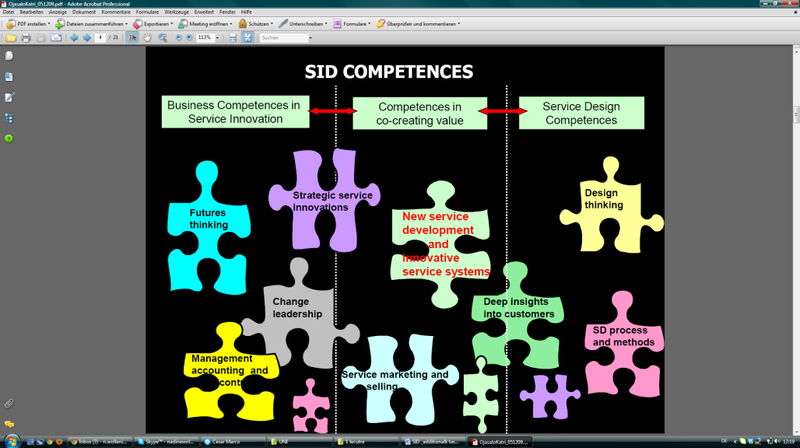 This model is a good tool to aware people to the complexity of service delivering process and interrelation of stages. The company culture is the core of an organisation from which it is derivate the vision & mission, the company strategy and in the end it purported the kind of leadership and internal communication. For that reason it is important to be aware of that high influence and dependency. Especially in a changing environment it is essential to not only adopt changes in the company strategy but also rethink or adjust the company culture, even so changing the culture is a long term, ongoing process. Therefore it is necessary to identify the key success factors in service business and to reflect them in the management and culture of the organization. In practise, it is linked with many challenges. Because not just from the management perspective it is important to ensure an adjusted business process, as well from the leadership perspective it is essential to ensure an environment of commitment & motivation to change. It is natural that humans’ seeking for habits and feel comfortable in a well-known environment therefore the aspect of change has often a negative influence in the mind of employees. For that reason especially in that modern, fast changing environment; I feel that it is essential to ensure a motivation of change within the company through describing, explaining, and delivering arguments for the need of change, listen to the employees and create shared perceptions which lead to increasing trust. Thereby, the leaders of the company have to be aware of the challenges of communication and different types of interpretation of messages. Therefore the language should be simple enough and allow two-way communication. The message should include only a few key points and it should be agreed beforehand on common interpretation. In addition successful leaders need to have empathy as a core competency. “…failure and success are just learning experiences…” Therefore don’t be afraid to fail, it is an experience which will develop yourself further. Especially within the company encourage the employee to take risks and being more creative on doing their work. Thereby is important to teach that it is ok to fail. In general the course highlighted that today’s most successful companies are doing well because they understand to release human potential. Therefore one presentation showed really good which different concepts are companies dealing with to use human potential in the best way to be as much as possible successful. “As more people feel free, as more productive they will be”...if they will feel stressed or feel hemmed in the job position, they are dysfunction themselves and it will cramp their style which leads to demotivation and this lead again to unproductiveness. Because of that it is important to be inspired to be really productive, whereby the inspiration starts inside the individual. Leaders have to differentiate between diverse types of person within its team, to create suitable models of motivation. Through the fact of diversity of characters it is a challenge to inspire the employees through offering a suitable development path and compensation and rewarding system. The recruitment of same mind- set persons is a helpful way to create a suitable inspiring company culture and tools. Money is a “feedback- mechanism”, which should be a flexible system depended on the performance of each employee. The “inspiration” & “emotion” zone are the important zone where the management has to focus on. These are the zone of creativityand therefore efficiency. The profitability is enormous if the company is able to engage the emotion of the customer.Nowadays companies are only concentrating in actions and tools for the “thoughts” and “physical action” zone. Of courseall steps are necessary to concentrate on, but to be long term efficientand productive, the human resources have to be more involved through taking the first two zones in consideration while defining the goal, vision and models for a successful company culture. Creating a sense of belongingness for the team and the individual employees will lead automatically to feel responsible for the company and its success. Companies should offer individual possibilities to develop the employees. In this manner the employees should be able to give feedback what he/ she would like to learn, instead of getting instructions which training or development path he/ she has to follow. The old adage “People are your most important asset” turns out to be wrong. “People are not your most important asset. The right people are”. Right use of technology- linking it to a simple, clear and coherent concept rooted in deep understanding and realizing that technology alone never holds the key to success. Investing in the performer contributes to the performance. The more successful employee is the more he or she can contribute to company, these companies have made successful employees by investing on them success companies have been able to ensure their own success. Sustaining service success requires trust. Because services are intangible and because customers cannot experience service before the actual service delivery, one just has trust on promises made by company about the service. Because services are from person to person and in between persons, trust is vital element as it is in human and social life in general. The new corporate leader have not to make all decisions on his own, he has to have the big picture in mind and only create the right atmosphere , the right conditions for others to do their job better. It is important to communicate a vision of what the company could be and make sure that the employees understood the goals and strategies. Communicate that the success depend in the employees. A good leader is a listener, communicator and educator – an emotionally expressive and inspiring person which can create the right atmosphere rather than make all the decisions himself. Eliminate the hierarchical tiers of responsibility on order to respond directly and quickly to customers’ needs. The customer oriented company is organised for change. Everyone needs to hear that they have done a good job. Its part of what motivates people and helps them maintains their own self- respect and motivation. Unfortunately in many companies the only thing that gets attention is a mistake. Whether you do a good or poor job – or even if you do nothing at all. Everyone needs to feel that their contribution is noticed. Especially in a service oriented business where employees self esteem and on the job morals have enormous impact upon customer satisfaction, a word of well – deserved praise can go a long way! In preparation of the first lecture of the course presented by Kaija Koivusalo & Janne – Valtteri Nisula, we were asked to follow the webinar “Service Metrics: Current Practices and Future Opportunities” by V. Smith-Daniels from the Carey School of Business of the Arizona State University and to prepare a summary, afterwards. The webinars topics were the different possibilities to measure and to control the service performance. The webinar discussed among others the current practice in service metrics and asked how service quality can be defined. It suggested that the idea of service quality is coming from the industry and that customers have a quality expectation that is either fulfilled or not. To measure the service quality is just one example of service metrics. When the measures show that the customer is satisfied, it is good to keep the service design as it is. However, to measure the level of satisfaction does not give an idea, what to do, when the customer satisfaction falls below the required level. Therefore, the metrics should be aligned with the service strategy. The webinar also suggested some future opportunities, such as to measure the customer experience at every encounter and segment the service, as different customers expect something different from the services. Last but not least it also named the biggest challenges in service business: no staff, no time and no system to generate the metrics. For this very fist contact session we also received the article ‘Service productivity towards a conceptualization of the transformation of inputs into economic results in services’ by Katri Ojasalo and Christian Grönroos. The article is dealing with the differences between measuring productivity of service and production processes. The authors argue that the base for calculating efficiency of services is not the same as for product manufacturing. The reason behind is the assumption that ‘the problem with being an effective service organization is that productivity and perceived quality are inseparable phenomena. In the authors opinion the productivity of manufacturers is related to production efficiency while that of service providers is to productivity and quality. They also say that ‘traditional production systems in manufacturing are closed systems, and traditional productivity models and measurement instruments are developed for such systems’. The involvement of end-customer in the service process is an additional source for unstable productivity and quality. Customers are not involved in production systems. In contrary, service processes involve the customer and are therefore ‘open systems’. They are also special as in service processes the production and consumption very often happens at the same time. It is sometimes even very hard to define ‘one single unit of service’. In manufacturing systems the productivity is measured by the ratio of produced outputs to used inputs, with the assumption that the quality is constantly the same and very good. As stated, in open systems such as service processes with high customer involvement the quality cannot be guaranteed to be the same at all times. Due to this difference the authors perceive that a constant level of quality is taken for granted and not enough highlighted as a fundamental part of efficient services. They furthermore state that there are difficulties to measure input as well as output of service productivity concepts. The authors suggest that the productivity of services depends on the level of relationship between customer and service provider. The relationship is described as a ‘mutual learning experience’ ‘where both parties learn about each other, and that (they) last over a long period of time’. Last but not least the authors discuss the possible tools to measure service productivity. They suggest that the comparison of input and output gives a good indication of the productivity development. During the second lecture, we had a guest speaker. It was Henrich Nyman, a doctoral student at that time. He had been working on his dissertation for quite some time already and had developed a very interesting model to measure the profitability of a customer in relation to the effort that a company has to undertake to acquire and to keep this customer. A very interesting topic indeed! The supplier should not just add new services or pay more attention to the existing services but should rather change its entire perspective on the business. The value for the customer only increases, when the customer perceives that he is getting something more than before or in comparison to another offering. 2. Value of customer, describing its value to the supplier. The focus in this presentation was on ‘value of customer’. The direct value of a customer comes from its profitability and its customer lifetime value (CLV). Values that are indirectly related can be defined by two groups: 1. Reduction of cost of customer acquisition and 2. Improvement of efficiency. After discussing the direct value of a customer, the presentation continued with the discussion of the indirect values of the customer. With the next topic Henrich got closer to the core of his presentation – the mutual value. Mutual value means here the agreement of buyer and seller to create value for both sides in such a way that either side can benefit from it. The creation of mutual value can take place in a dual business relationship or by intentional co-creative activities. But Henrich points out that these findings do not take the two different approaches of customer value into account. Therefore it is not necessarily correct that when the seller provides high-quality services to the customer that the value for the seller increases in the same way. According to Henrich the creation of mutual value is only possible, when both perspectives on customer value are taken into account equally. I found the theoretical part of this presentation very interesting and comprehensible. The topic is of high interest to me and Henrich’s presentation has given me new, valuable ideas on the subject. I understand the idea behind it and I strongly believe that it is a very good way to prove the theoretical assumptions and that it is necessary to have this final argument for visualization. 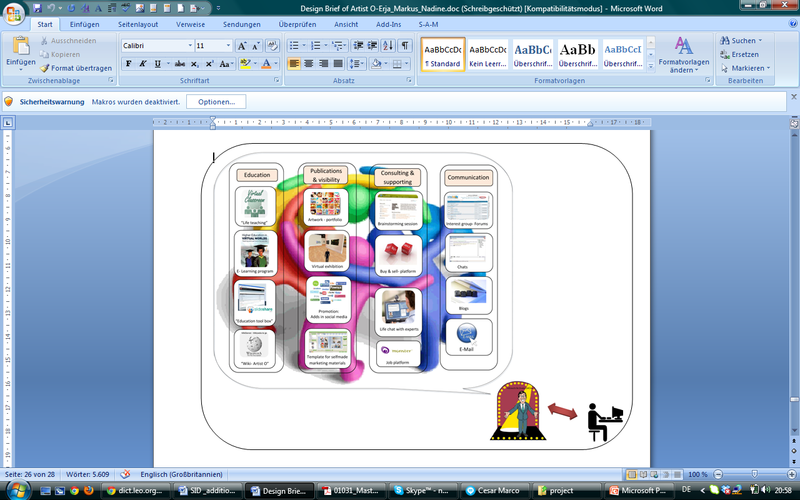 But to be able to apply the model I would certainly need additional clarifications of this part of the presentation. In addition, different topics of the presentation were discussed in class and the students presented real-life examples. That made the lecture very lively and comprehensible as we could transfer the theory into practice. For the same day, we had to prepare a pre-assignment. I chose to present a short introduction on activity-based costing. The idea of activity-based costing is to understand the ‘chain of causes’ (Nadig, 2000) or ‘customer chain’ (Turney, 2005), to structure the activities into groups that represent costs with the same cause and to allocate these to so called ‘cost drivers’. By using the planned operation rate, one can calculate the costs for the different services or products. Finally, an ABC-activity plan can show all the activities that are used to provide a service or to manufacture a product. As final report we needed to develop a toolbox for an appropriate measuring system for a case company. I choose the balance scorecard model because it is a method which tries to conflate the strategy objectives which operational targets and especially consider and combine qualitative and quantitative aspects of objectives. In my point of view that is an essential aspect which especially in service companies are playing an important role, because the output is not tangible and therefore not easily measurable as for example in manufacturing industries. Service providers are depending on the moment of truth which is again depending on the personnel. Because of that the soft facts plays a really important role. It is essential to conflate them with the financial aspect in a comprehensive measuring system and therefore give them an equal status of importance. The balance scorecard method, as the name already emphasize, try to balance several aspects in the same way. When developing a balance score card, according to the literature and the strategy of the case company, I was investigating suitable key indicators which could be considered in the balance scorecard. As in many companies, the current measuring system of the case company focuses only on the financial and performances measuring aspects. That means the main key indicators for performance measuring tools are hard facts, the numbers. As a result the company designs a unique, in detail described process of different task which are necessary to create a unique professional standardized product. This process is connected with numbers and deadlines as key indicators for the individual performance. Through this method the company is able to measure every single day of every employee and according to the results evaluates them individually. Comparing that system with the values of the company culture, it is evident that this measuring system is just considering a small part of the company strategy. Is it really possible to become the best company within the industry with an USP of outstanding customer service, when the employees are not able to react to the situation instead following prescribed task of a standardized process? From my point of view that system is contrary to a concept of performance measuring for a professional service provider. As the literature claim, the practice and even the own company vision of the case organizing are teaching that services are depending on the people and therefore the proper leadership and company culture should emphasize the employee as the core of the business concept. This measuring system is ensuring the control over the personnel instead of the trust and empowerment. Already R. Carlzon highlighted 23 years ago the necessity of having a flexible company strategy with the focus on the personnel, which means trading them with respect and trust. Empower them to give them the responsibility to do what is necessary to provide outstanding customer service, even more if that standardized process with the related prescribed task has to be used for every different country, in which the case company is acting in. In summary, from my point of view it seems to be a challenge for the case company to interrelate all value aspects in an overall measuring system. In addition the case company provides less transparency of the measuring system. The system is just partly communicated and the overall understanding from employees seems not existing. Due to the strong focus in performance measuring and finical facts as well as the missing realistic linkage to the individual targets and objectives the stuff is demotivated. As the case company highlighted in the corporate strategy is the personnel the most important asset to be successful, but the current measuring system taking that issue not into account. It is missing a system which provides transparency and is able to use as communication and educating tool for the employees that they have a better understanding of the overall picture of the company target and strategy. Also it is essential for being sustainable successful, to integrate more views into a measuring system to ensure a comprehensive measuring model which translate the whole corporate strategy into operational understandable targets. This course held by Virpi Kaartti & Anne Martola aim to familiarize the students with the key concepts and methods of service marketing. This includes an awareness of special characteristics relating to the creation and maintenance of service brands. 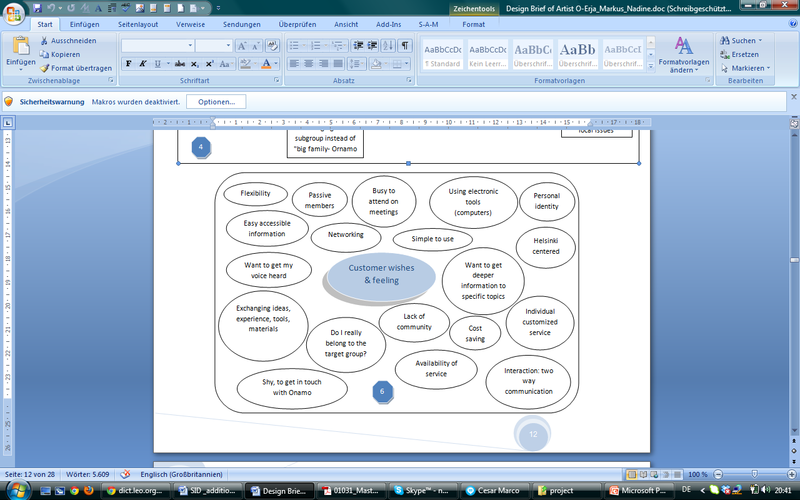 As preparation for the course we have been ask to write an essay about “Challenges of Service Marketing”. Hereby we needed to study basic methodology of service marketing and its challenges involved in marketing and managing services, today and in the near future. Marketing in the traditional sense, was focusing primarily on goods, as the unit of exchange. That means it was equate with selling, but marketing is not only concentrating in the way of selling. The marketing concept is aiming to meet the customer needs profitably. Marketing management is a science of choosing target markets and getting, keeping, and growing customers through creating, delivering, and communicating superior customer value. It starts with understanding consumer needs and wants, deciding which target market the organization can serve best and developing a compelling value proposition by which the organization can attract, keep and develop targeted consumers. Thereby is marketing much more than just an isolated business function- it is a philosophy that guides the entire organization. That means the marketing concept involves product development, pricing, distribution and communication (4P concept), and in the more progressive firms and continuous attention to the changing needs of customers and the development of new products. The concept of service marketing is taking into account the service as product. Thereby services could basically be referred to a dynamic activities and processes, while goods are static objects. The most basic characteristic of service is their process nature. Service is produced in a process wherein the consumer interacts. 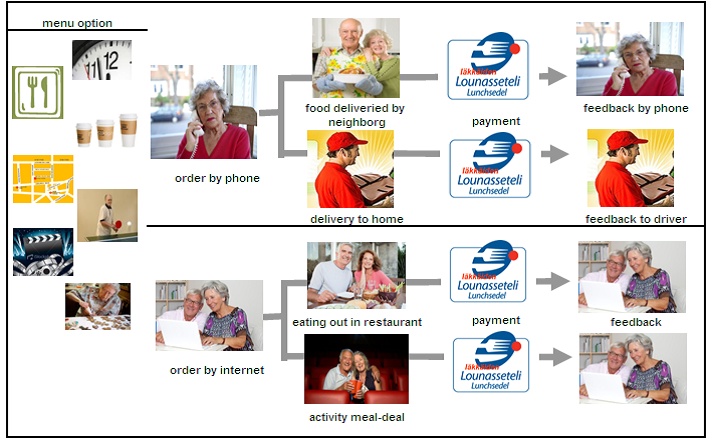 A service – centred dominant logic implies that value is defined by and co-created with the customer. Therefore, heterogeneity and customer participation are characteristic for services. Service marketing and management challenges present several facets. One of them is how to escape from the traditional, dominant model of management, the manufacturing- based model. Heskett and Schlesinger demonstrated the inefficiency and even the failure of the manufacturing model applied to the service business. The traditional marketing theory was basically first supplier centric and only secondarily considers customer needs. Consequently, especially for the traditional producing sector, it is a challenge to refresh the mindset and practical business habits to implement the new concept with a different focus. The challenge is to create “the” model for services success; a roadmap that can help service-inexperienced companies get started and allow services experts get even better at their craft. The concept is still so new that there does exist a lack of literature sources, which could provide comprehensive background information to the young service theory. Most often in the service concept is the value creation happening through the active involvement of the customer. As a result the customer has a more influential role in marketing. Unfortunately, the providers may not see the contribution or under estimate the influence of this involvement and fail to support it. Also it is really challenging to define a standardized service creation process if human resources are involved. Every person feel, act and response differently, that it makes it difficult to plan standardized value creation concepts. Service quality is fluctuating because it is influence and depending from so many different facts, for instance the moment of truth, the characteristic of human being, the background situation and many more. You can walk into a restaurant one day and get great service, and then the next day you’ll get horrible service. The difficult issue is to systemize services without taking the human element out of them. The challenge is for companies, how to design and deliver high value services more consistently, from experience to experience, across different groups and different locations. More than ever the internet, with its communication and interaction possibilities, provides a great opportunity to involve the customer in the value creation process. The Harley Davidson motorbike- example proves that the product itself has to be seen as just a part of the success. Through establishing a network and allow customer interaction open the opportunity for customer experience. That means from the value proposition that the customer co- create value to satisfy their individual needs and wants. Companies, especially in the traditional manufacturing business sector, have to understand that principle of the cause effect to create new ways of cooperation together with the customer. Thereby is the complexity of service a challenges. That means that services are more complex than the product side, not from the technical standpoint but from a value- creation and customer service standpoint. To ensure a credible performance, a strong customer orientation is required. This includes the willingness and ability to recognize the characteristic and adjust their service behaviour accordingly. For that reason it is challenging to transfer the service dominant logic into a sustainable successful business. Another challenge is the management of contact staff, and more generally human resources management in service business. Also here is the traditional model inappropriate. It is not possible anymore to recruit, train and promote employees and organize work along lines used in manufacturing. If employees lack compatibility or consistency, an uneven performance ensues. Basically the service dominant logic requires a change of thinking. The whole company culture has to live the service approach. Also a big challenge is to measure the value of services and figuring out how to leverage technology for services success. While quality in tangible goods has been described and measured by marketers, quality in services is largely undefined and unresearched. Most often when quality and service productivity are measured and displayed in statistics, only the supplier input and output are considered. As the result the service quality is mostly measured as the black box concept. Consequently, the traditional productivity concept from manufacturing does not fit when service activities are performed in cooperation with the customers. In general, services are bigger today than they’ve ever been before and service marketing concept is developing more and more. The service sector has grown and keeps growing and parallel the good sector is declining. However services are people intense, through new or improved technology and systems the industrialization of services is growing. That means that the technology has become powerful enough to industrialize many service operations and find new solutions of operating service. In the next session we have been able to listen to different case studies as for example case Kesko Hardware from Tuulikki Markkula , Customer Relationship Director of Kesko, or ”Legal issues in marketing and selling” from Topi Siniketo & Robert Hagelstam, Roschier or case Martela presented by Johanna Kemppainen, Marketing Manager of Martela. A final project we needed to create a concrete development plan related to a target organization’s services. The intend of this service development project was to implement the service dominate logic into practice, through analyzing the current situation of a case company, gaining insights of the target group and designing on basic of the results development targets with an implementation plan. More specific was the aim to generate needs as a basic to develop ideas for new or rather improved internal services of a case company, to serve their personnel in a better way, which is essential for a people based service provider, as it is the case company. As a result concrete ideas and recommendation for launching the service idea into practice are developed. The analysis shows that to guarantee job satisfaction and motivated employees, the company has to invest in serving the employee by offering training and personal development opportunities, good work environment and a well defined information system. Thereby the development report highlighted the importance and impact of a structured knowledge management system for the motivation and support of the employees. Globalization has changed our world, people from various nationalities work closer together, companies’ operations are global and therefore also many services are offered globally today. It could be assumed that customers and end-users from different cultures have different value perceptions and communicate messages in different ways. In order to succeed in such a global environment, deep understanding of cultural needs and preferences should be a prerequisite for effective service design. The elective study unit ‘Cross-Cultural Issues in Service Development’ presented by Tarja Chydenius & Auli Guilland aimed to help to understand the theories behind cultural perspectives in order to succeed in international service design. The first pretask – a reflective summary on the main points of an article and my insights on it – and the following discussion within the course lecture have shown that there are different aspects where cross culture perspective plays an important role. There are many different layers of culture, such as regional, professional, educational, gender, generational, class, corporate etc. Culture is all the ways of thinking, behaving and communicating. To be nowadays and in a long-term successful it is essential to involve cross culture perspective in the daily business life , especially when companies are expanding and working in an international level, intercultural experience and competence are crucial for avoiding failures. As Richard Lewis emphasis: “The need for better understanding of cultural influences on leadership and organizational practices has never been greater…” due to the strong development tendency to a service oriented business environment. My chosen article emphasizes, that culture plays a critical role in determining how consumers evaluate the quality of a service. Therefore especially resources allocation decisions in the matter of training of customer-contact employees and service provision should be designed to effectively respond to local customer needs. Companies should customize marketing strategies designed for maximal local impact and then invest in employee training and service provision to more effectively respond to local customer needs. In summary the prestask and the discussion highlight increased awareness of the importance of intercultural knowledge and management skills. To be able to adapt culture differences in the marketing strategy it is taken for granted that companies are aware of the high influence of the cultural aspect and understand the market they are acting in. This approach applies for the external marketing strategy as well as the internal strategy which comprise the training of the human resources within the company. This knowledge will help for instance in understanding the variety of conflicts and prepare the colleagues to deal with that in a best way, to be able to cooperate positively together. Furthermore it will enhance the skills in communicating with different kinds of people and improve the skills in team working beyond cultural differences and learning to respect different ways of doing things. For the 2nd contact session, we had to prepare a presentation about different cultural methodology. The presentations about different cultural literature- background were useful in gaining in a short timeframe different insides about several authors and methodology. Thereby was the comparison between two cultures or nationalities really interesting and in the same time supportive for a deeper understanding of the theory. All presented methodology used different ways and drivers to make the behaviour characteristic more visible and comparable. Through this, I realized the complexity of the term culture and how difficult it is to find key drivers which underline the culture perspective to be able to evaluate and contrast different nationalities. Thereby it has to be emphasized that not only the culture methodology provide customer understanding. From my understanding, it could be more seen as basic tool to start to understand culture differences. Nowadays were we are growing up in a more multicultural environment, several aspect are framing ourselves personality. Therefore it is not possible to categorize person through there nationalities, based on the theoretical methodology. The culture theoretical knowledge has to be seen as fundament which together with advanced cultural empathy skills is enabling to understand and successfully cooperate with different nationalities. The guest lecturers were really interesting in gaining ideas about challenges influenced through cultural differences in practice. Activeark described for example challenges occurring in the internationalization process. Hereby it is important to be consciously aware of the cultural differences when recruiting new personnel, where the recruiting strategies could be controversy. For instance could be one challenge to find suitable staff members which fitting to the company culture and sharing the same core values through same attitudes, characteristics and habits, but on the other hand the local personnel should understand and attract the local inhabitants through being similar as the target group is, which could be controversy. Another key learning point from his presentation is to be flexible and open to change in the way of communicating with international business partners. The Kesko – presentation highlighted for instance the importance to have a clear manual or concept when expand abroad. This comprises a clear business idea, which could be understood by the whole organization. Because afterwards it is really difficult and time consuming to make general changes. The presenter was emphasizing the time consuming preparation before actual going aboard, which takes about 3-4 years in his case. He recommended making a realistic assessment of your resources and competence through a „SWOT” model beforehand and also using the consultancy of local specialists. Moreover the competitor and market analysis (e.g. “PESTE” or “PORTER”-models) are helpful in gaining a realistic impression about the market situation. It should be deeply analyzed the concept in comparison with the local best competitor’s concept, with keeping in mind that the competitive situation in emerging markets can change rapidly. Before deciding for a concept it has to make a decision about the expansions strategy and evaluate its advantages and disadvantages. In addition a key aspect which I learned from that presentation is that even the pricing strategy has to be localized, instead of being standardized for the whole global acting company (discount vs. premium). The presentation of CAISA focused on the managing/ leading aspect in a diversified working place. A diversity of different nationalities within the team could provide several advantages as for example the diversity/ richness of ideas, concepts and experiences in the daily business life. When leading a group of diverse nationalities the most important aspect is the oral and written communication as well as the understanding of various communication styles. As more information is provided as more misunderstandings are avoided. Clear communication could start from defining clear work descriptions, over creating internal structures (different teams, weekly meetings, weekly planning meeting, once a month the whole staff) as well as creating joint rules and regulations, discussing and updating them, and informing about them. Besides the importance of the communication, further recommended competences working in an international team are for example: open mindedness, patience and appreciating so called silent knowledge. Services are often offered globally and to customers and end-users from different cultures. Deep understanding of cultural needs and preferences are a prerequisite for effective service design. To be a global company means, that managers and employees are expected to successfully interact with customers from widely differing cultures. Different cultures imply different mental programming that governs activities, motivations, and values. Moreover, the experience of culture in everyday life is highly complex and thus a source of confusion to foreign companies. Client and provider characteristics such as attitude, skills, and behaviours in service encounters are affected by cultural factors. Customers from different cultural backgrounds have different expectations as well as different perceptions of service quality (especially in terms of employee behaviours). Generally speaking, the perception and expectation of service quality differs from culture to culture and nation to nation. That means, due to cultural differences, consumers in different countries may differently experience service encounters even in the same type of service construction. As a course assignment we have been involved in the MMP project (Multisensory marketing of services to customers). In this context we developed a marketing concept as inspiration for the company Nuuksion Taika Oy. 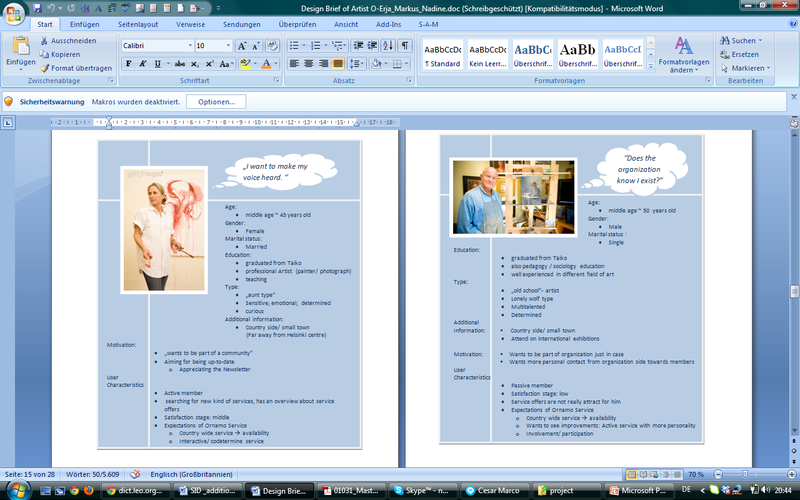 Due to this assignment we have been able to apply the aspect of cultural differences to a practical example. Hereby we were analyzing a chosen nationality more in detail to define a target group for which we create in consideration of cultural characteristics a marketing concept for a case company, with the focus on multi sensory aspects within the marketing concept. It was interesting to investigate which aspect has to especially keep in mind attracting a specific target group. Using a multi sensory approach means using more than one of the senses to address the target group. Most of the marketing materials, adds and service concepts are only applying to one sense to achieve the interest of the target group. Most often it is using either sight or hearing (visual or auditory sensations) and sight of seeing (visual sensations). 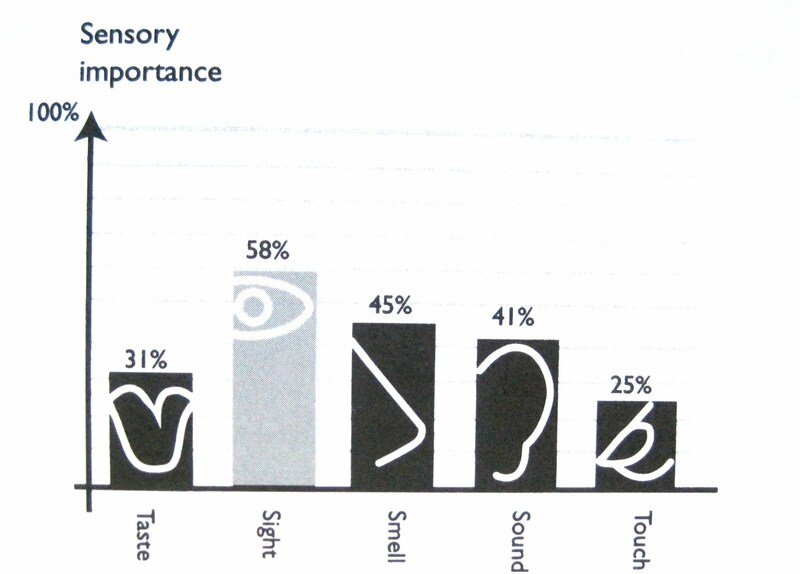 Generally, the graph showed a very small differential when it came to senses by senses evaluation, which leads to the conclusion that all five senses are important in any form of communicating and life experience. Consequently as more sensory touch points leverage when building the brand and its marketing campaign, the higher is the number of sensory memory activated. In other words as higher sensory memories are activated, the stronger the bonding between brand and customer. I learned that investigating in a first step the culture background information, could provide useful ideas and inspirations in designing the marketing concept. As part of the designed marketing campaign we have been creating among other things a marketing massage and multi sensual video for the chosen target group. In general the video focus on the beautiful nature and therefore it was recommend showing different impressions of nature, landscape and happy couples in the age of the target group, enjoying the time spending in the nature environment of Nuuksion Taika. The sense of hearing is included through emotional music background, which underlines the feeling of beautifulness wildness nature experience. An agreeable voice would describe what Nuuksion Taika is offering their guest to emphasize the aimed impression of the message and active also the listing skills. Also the video included some written information; at least it has to mention the contact details or other sources for further information. Business networks have become a necessity for firms to sustain their competitiveness because the demanding and competitive market environment requires new innovative services and very few firms are specialized in all the technology and service areas. Therefore, they need alliances to create maximum potential value for the customers. Within the course “management of business networks” held by Hannu Pirnes we learned more about the need for establishment of business networks. Business networks offer firms collective benefits beyond those of a single firm. The challenges involved in operating in complex vertical or horizontal networks is on the one side the internal pool of resources that create a competitive advantage, on the other side the external resources as alliance and acquisition routines, which provide new resources for the firm and the ability to integrate the efforts of the different actors. The gained theoretical knowledge, we needed to apply on a practical example. Therefore, we had to accomplish a group work comprising to develop a business net concept. That means in more details to design a nutrition logistic plan for delivering high quality food for elderly persons living at home. The population in western countries is aging very rapidly. 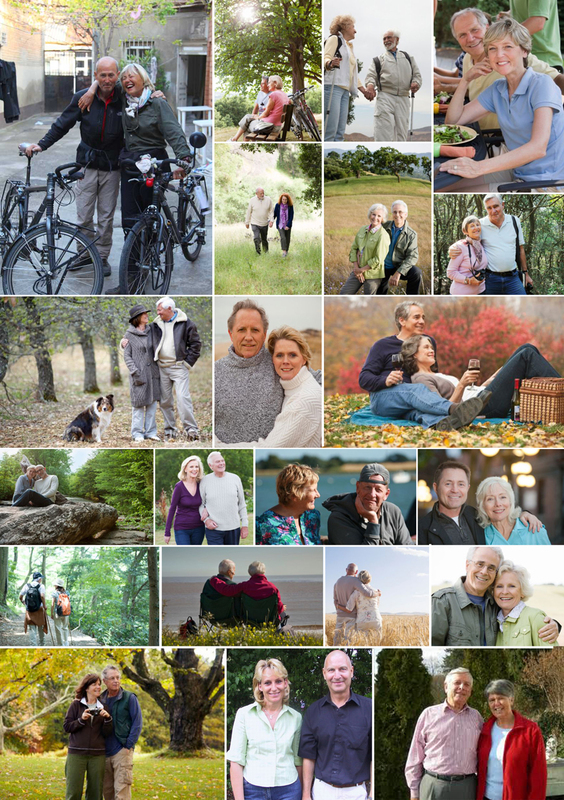 The number of elderly people will dramatically increase over the next decades. In 2040 people in Finland over 65 years old will account for more than one quarter of the whole population. Moreover the public financial resources for elderly care services are declining rather than increasing and therefore the gap between the demand and supply of welfare services widen. These facts prove that there is an existing challenge and necessity for developing a care service that responds to the individual needs of elderly people. Thus, more specific, the project development plan aimed to apply the business network approach to design a nutrition logistic model for delivering high quality food for elderly persons living at home. Thereby aimed this development plan to provide ideas, inspiration and insights how elderly care services could be developed and provided efficiently in a customer- oriented manner and therefore delivering valuable asset for developing a better and more cost effective elderly care services for the City of Vantaa and Espoo, Finland. In this context we started to investigate the market within Finland and globally. Meals-on-Wheels services are available in many countries around the world for elderly and disable people. They are primarily designed to support people to continue living in their own homes as long as possible. However, many of the communities also offer other types of food services, such as lunch-clubs. 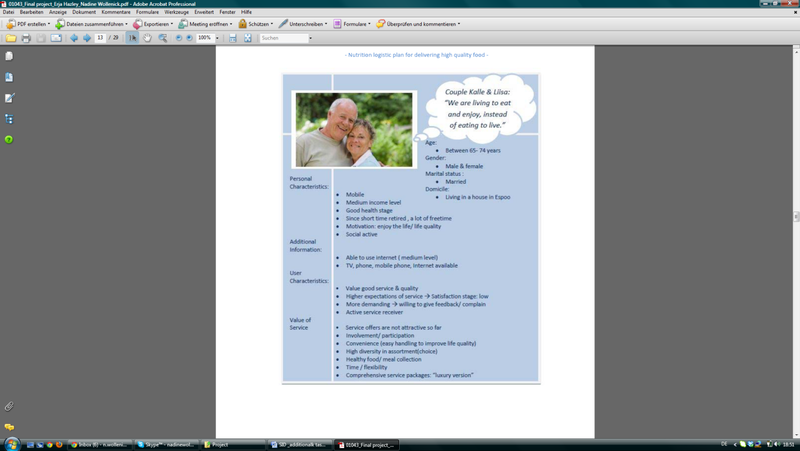 Typically meals services can be classified into two categories, meals-on-wheels and centre-based meals. In general we realized the challenge to define the target group and the meaning of ‘care’, because it refers no longer only to the support provided for daily activities, as eating. The question is how to realize the well‐being of an individual elderly person, because this target group is defined though a big variety. An elderly people are not classified as not‐ill and ill. They can be physically strong, intelligently, socially abundant in human relations and mentally safe. Also seeing the service development as future oriented, the target group should not only include old persons. I believe that the service concept should provide value to the life quality, which means also people in the middle age could be addressed for the service. To ensure the focus within the project, we concentrated only on the elderly people from 65 years upwards, even though that for future research it could be recommended to widen the target group. 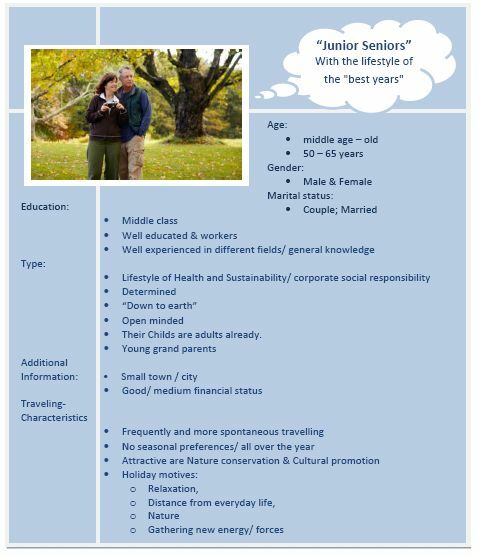 To gain a better understanding of the target group and its needs, we applied the method ‘user profile’ which we learned in a previous course. With the help of the user profile method, we aimed to characterize and visualize based on the qualitative and quantitative data different types of the target group. So far Finnish service providers have developed more standardized types of care services which were offered to all clients regardless their specific individual needs. To reach an improvement in the ability of life of the target group, the service innovation has to offer them benefits, instead of classic comprehensive well‐being care services. As it is shown through the user profiles the received value diverse from the kind of persona. Therefore, a combination of service benefits realized through multi‐ party collaborations and networked co‐creation of new care services could be a new innovative approach for the improvement for elderly care service. That means, delivering a high level of value creation (high quality plus high cost ‐ efficiency) could be achieved through a balanced co‐ creation with networking actors (including clients and service provider and even third parties). Further, we applied the customer journey mapping in order to demonstrate the customer’s touch points. It provides a map of the interactions and emotions that take place and offer therefore an understanding from the perspective of the customer/ user. Hereby, the lower section demonstrates Kalles and Liisas options. They are more active and therefore they quite often go out to eat and combine their meal times with different activities. They enjoy going to different lunch places and they feel that they get great deals with their elderly lunch‐vouchers. On the top half, Elna is choosing her menu, size of meal and delivery time. She has chosen one day to have food delivered and another day to have her meal cooked by neighbour, nearby. Both meals she pays by elderly lunch‐vouchers, which has purchased earlier. When she feels like, she can leave the feedback either to driver verbally or using a feedback form or by calling the municipality. We believe municipalities should still continue cooking day‐to‐day meals for elderly people with option to have home‐delivery. However, this service won’t be enough in the long run. It is shown previously that future customer will be more demanding and their expectations of food quality, choice and over all service will increase. In our development concept we suggested that municipalities would continue to have one or two central kitchens and multiple local restaurants as network partners for added options. Municipalities should have further study to identify their options for central kitchen; these can be hospitals, cooking schools, high‐school’s or elderly people’s kitchens. Then their capabilities to provide required service, quality of food and meal options should be weight to other options e.g. outsourced kitchen. Large part of delivery could be done by volunteers; they could use their own cars and charge the municipalities for kilometres. In this way municipalities would not need to invest in delivery cars. Obviously not all volunteers have own cars, so some vehicles still would be required. The local restaurants offering the meals, could also offer delivery as part of service. Also, other options, such as pizza‐taxi drivers and school‐taxis should be considered. Customer ordering their meals from supermarket; e.g. frozen meals could be delivered by the supermarket deliveries. In this way the supermarkets could offer added services; food‐shopping and deliveries. The diversity of service brings multiple benefits, not only for the customers but also to municipalities and local businesses. Voluntary work could be combined in the network model and could bring even more benefits, to municipalities as well as to the voluntary workers. Voluntary work is still very much unknown concept in Finland. Many of the European countries relay on their voluntary workers to provide many of the social –services. For example in Ireland, their meal services are mainly provided by voluntary staff, 89 per cent of the workers work in voluntary bases. We realise that it would be impossible to set‐up voluntary‐based network immediately and it would require lots of time and effort. Therefore, in the beginning it would be useful to have some sort of benefit also to voluntary staff. Maybe, people doing voluntary work, would get small tax‐benefit or something similar. 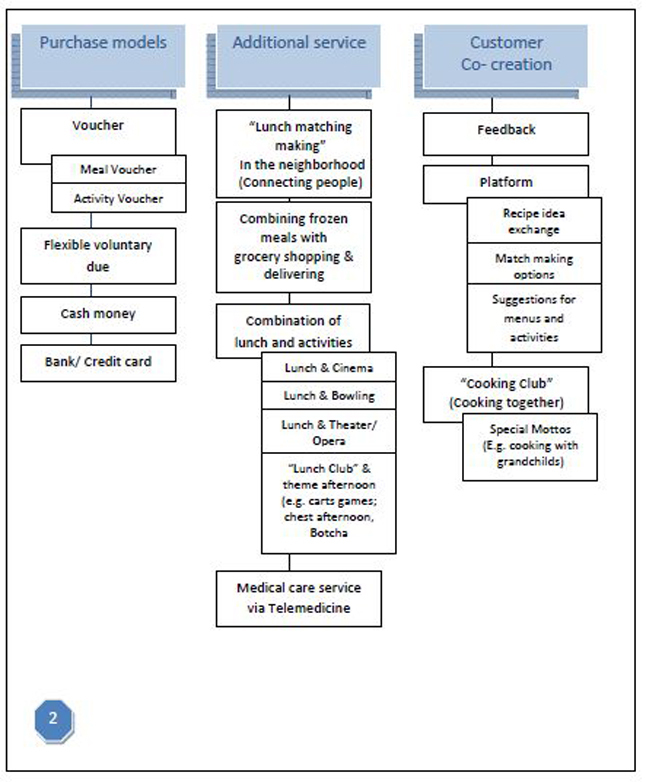 Type of lunch‐or service voucher could be also used as incentive. If neighbour would cook for an elderly person, she/he could “pay” the neighbour by the voucher. Then the neighbour could use that voucher e.g. eating out or using a service (e.g. her child could go to cinema). There are so much “un‐used” resources in Finland that could be utilized providing services for elderly, both in meal and added services. Unemployed, immigrants, students and retired people would be ideal resources. These groups would also benefit from social contacts and would help them to become more active in the society. There has been multiple studies around the world, where has been identified that retired and unemployed people who get involved with voluntary work stay more social and active longer than people who are not working. Therefore, this is also very beneficial to people who are helping out and not just for the people getting help. Reflecting the beginning of the master Thesis course, I remember that it was an immense challenge to find an appropriate project and project theme to work with. I was considering several ideas and spend time in investigating whether this could be a fundament for my final project, the master thesis. But finally, in February 2011, I was approached by Katri Ojasalo, the head of the degree programme of Service Innovation and Design, to participate in research project, named CoCo. The CoCo research project is an alliance of case companies as well as public organizations. In detail, these participants are four case companies, three are coming from the so called knowledge intensive service (KIBS) sector and one comes from the trade sector. The public sector is represented by Laurea University of Applied Science, to which this current thesis is presented. Furthermore, this project is supported by VTT, the Technical Research Centre of Finland, by Tekes, the The Finnish Funding Agency for Technology and Innovation, by C G Evatt, member of the SID board of Laurea UAS and by Helsinki World Design Capital 2012. Thus, I had the opportunity to develop a topic for my Master’s thesis out of this research project. I felt that this would allow me very valuable insight into the industry and its service related processes and would furthermore provide me with exclusive data and information that I would otherwise be unable to gather. Due to these reasons, I agreed to participate in this project and hence base my thesis topic on this research work. In general the thesis aimed to provide practical insights for enhancing value co-creation in the B2B context. Hereby, explores this elaboration the theory of the value co-creation approach in order to provide applicable knowledge for enhancing value co-creation in practice, addressed especially to entrepreneurs of small and medium sized companies. Even though that numerous studies have been conducted on the service-dominant logic, comprising the value co-creation approach, I felt that the theoretical knowledge seems to be partly isolated from the practice, meaning that the theories of service-design logic and value co-creation are only fragmentary implemented and experienced in practice. Especially in the Business-to-Business (B2B) sector, additional focus and research are needed since this area is rather underrepresented in the service theory. Adopting the co-creation approach is not an easy process. Still, relatively little is known about how customers could be engaged in the value co-creation process. Hence, managers of various industries are not yet familiar with this specific concept and, therefore, more practical guidance is needed to fill this knowledge gap. The empirical study of this thesis analyzes the current state of a chosen case company’s business operation, from the internal and external perspectives. For this purpose, several interviews with employees, as well as with customers, were held. The case company I was concentrating on was a Finnish communications specialist, established in 1997. The enterprise is a service provider, which offers its customers comprehensive technical knowledge, networking and personalized communications solutions, especially designed for the individual customer, and integrates these solutions safely and cost-efficiently into their businesses. The empirical research was planned to be carried out during a period of three months. Hereby the research was accomplished through the cooperation of a formed research group of five students who focus on a common theme. The goal of this focus group was to work together and to inspire each other. The diversity of opinions was enabling everyone in the group to get more insights and gain as much as possible information within the field study. Based on the extensive literature analysis and a co-creation framework, it was aimed to frame the research questions and set a first draft of structure within the formed research group. Through this active discussion, we were able to create a comprehensive list of important research questions. After that, we organized the findings with the goal to create an order of questions as a first draft of the interview themes. Several times, the draft of interview themes have been rechecked and compared with the research problem, partly to test the consistency between these two and see whether these questions are thorough and correct enough to gain relevant information, later on. It was agreed with the case company that the interviews will take around one hour. In practise, the interviews took place between 45 minutes until two and half hours. It also was announced that the interviewer records the responses. Using recording devises aim to provide a more accurate rendition of the interviews and therefore it is possible to deeply analyse the collected data, afterwards. Once all aspects were considered, the interview person was approached via phone to set up a meeting appointment. One challenge was the language barrier. The aspect that the interview was not held in the mother tongue neither of both participants made it more challenging. I needed to pay special attention that the level of language I am using is compatible with the respondent’s knowledge and usage of the language. Also the fact that the interviews were held in English language, made it more difficult to motivate the interviewees to speak freely. Most often they felt more comfortable to directly respond to questions instead of telling their thoughts openly without any guidance. But the form of open questions helped to get an access to the person and their thoughts. That means, often questions were difficult to answer for the proband, why it was helpful to open up the question with phrases as “What do you think…? How do you feel about…? In your opinion, what could be…?” and so on. This minimizes the fear of the proband, to answer something incorrect. Also the different personalities of the interviewees were clearly noticeable. Therefore it is really important to analyse early in the beginning of the interview what kind of personality the interviewee characterize, in order to consider and if adaption in the way of asking and acting within the interview is necessary. This helps to establish a comfortable atmosphere for the proband and therefore ensure trust and openness when responding to the questions. Another challenge was to stick to the given timeframe without interrupting the interviewee and the flow of the conversation. Especially when the interviewee was telling ‘stories’, many important information could be obtained. Therefore, it was sometimes difficult to decide when the interview needs to be interrupted, in order to capture the information for the still unanswered questions. One interview for example took 2, 5 hours instead of the scheduled 1 hour. If both interviewer and interviewee are able to spend this time for the interview, it could lead to a rich conversation but the risk could appear that after one hour the interviewee would end the conversation without finishing the interview. Therefore in my point of view, it is recommended to recheck the timeframe continuously during the interview and confirm that the participants are both able to spend longer time for the interviews as previously agreed. In summary, it is important to be flexible and be able to adapt to different interview situations and interviewee personalities. Furthermore, it is important to interpret the answers by knowing how to avoid bias and not be trapped by own ideologies or preconceptions. After the 7 interview was held, the interviews have been transcribed. Transcribing is a really time-consuming process, which describes the systematic listening to the content of the electronic record as well as detailed documentation of every single word that was said during the interview. The whole analysis’s part: defining the interview frame, proceeding the interviews, writing transcripts of more than 300 pages and intensively analysing and interpreting this data, took several month. Since I have never been accomplishing such detailed complex analysis, I have to admit that I underestimate this work amount. Considering how many pages of interpretation I have been written compared to how many of them have been finally included in the final report, it is hard to imagine how much work is needed to in the end present the final report. The research results of the empirical study have been presented in a profound way by identifying and analyzing the most relevant challenges that companies could face when implementing or enhancing the concept of value co-creation. Based on the elaboration, new insights and practical, concrete inputs for managing the challenges of value co-creation have been provided. 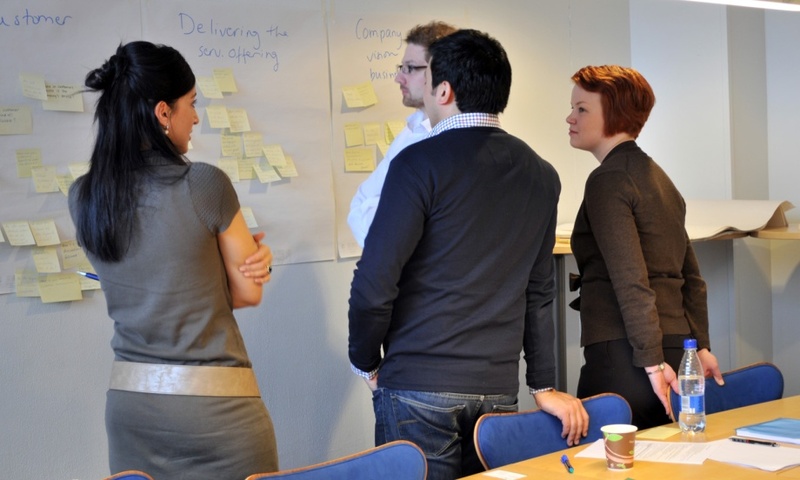 In other words, through identifying and examining challenges and development needs for enhancing value co-creation in practice, entrepreneurs, in particular of the B2B service context, could obtain an understanding of the value co-creation approach, its complex context, and the positive impact on their current business operations. The study concludes with practical implications, various guidelines and examples about how challenges could be managed and how the company could be transformed from a self-centred enterprise into a truly customer oriented service provider. In general the whole master thesis was conducted within 1,2 years. I had several up and downs. Probably the most challenging was to combine studies with my work. Since my work was really demanding during this period, I needed a precised time management and a lot of energy and motivation to continuously work on my master thesis in my limited free time. There have been phases where I notice that I am going in the wrong direction which of course really demotivates me. I have to admit that there have been even times where I did not believe to be able to finalize this project. Also it was challenging to find the “red line” through the project. I was obtaining so many information and data, which would be interesting to analyse further and might be really beneficial for the case company, but the linkage and the sense as a whole comprehending concept was missing. In the end, I believe that any small to middle-sized company – no matter if from the service sector or elsewhere, and familiar with the concept of value co-creation or not – could benefit from this work by applying the obtained knowledge into their own context.